The Asset Outliner panel is only shown in the Character Maker in Character mode when the Geometry Tab is displayed. It displays all the Geometry Assets of the Character in a tree view. 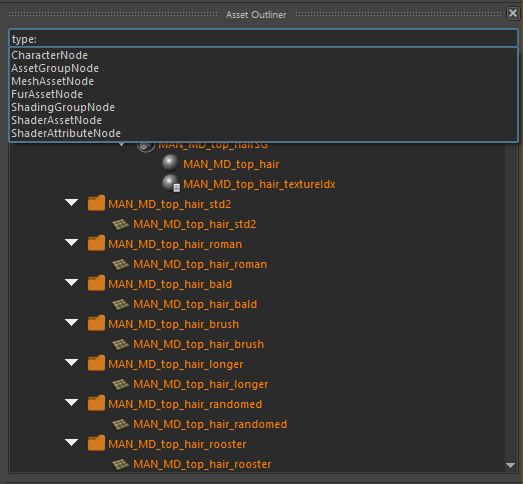 If the Asset Outliner is hidden, right click on the Character Maker toolbar and check the Asset Outliner. 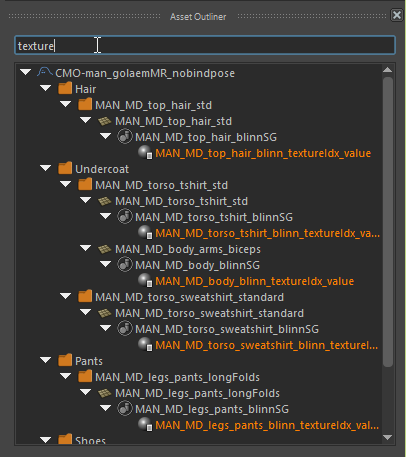 Keep in mind that each node is displayed only once, even if in the Main Workspace it may have more than one parent node, thus avoiding duplicate items. Selecting an item in the Asset Outliner will also select it in the Main Workspace and vice-versa. To search for a node by name, enter a name in the search box. 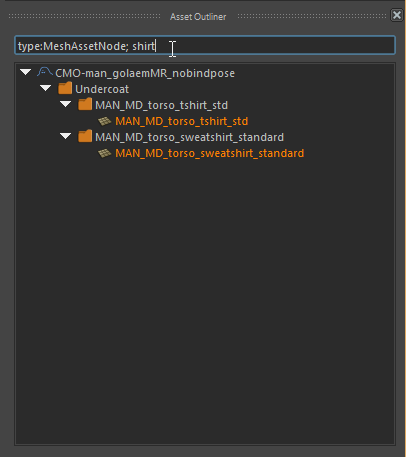 All the asset nodes with a name matching the entered text will be displayed, along with their parent nodes, and highlighted in orange. The list updates as the user types. 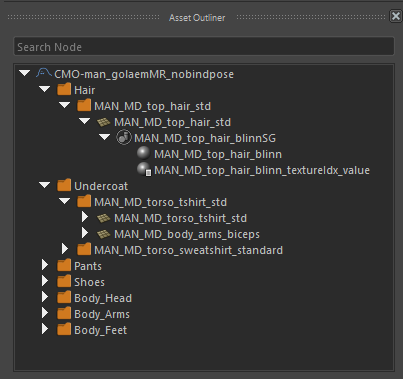 It is also possible to search asset nodes by type, by entering the keyword "type:" followed by the desired node type. The keyword also triggers a popup with all the available asset node types. Search criteria can be combined by separating them with ';'.